If you’re new to cat ownership, you’re likely enjoying both playtime and the quieter moments when your new friend is purring in your lap. What you may have yet to experience is the repulsion that comes with stepping in a freshly deposited hairball. Hairballs are every bit as gross as you think and then some, so preventing them is truly the best way to handle the situation. Fortunately, there are quite a few ways to do so. Brush your cat daily to remove any loose fur and prevent them from swallowing it as they bathe themselves. Most cats love being brushed and you’ll likely have no trouble initiating this routine. If your cat is one of the few who isn’t a fan of brushing, purchase corner comb you can mount on the wall. These brushes are placed on wall corners and brush the cat automatically whenever he rubs against them. Many cats enjoy these brushes even if they dislike being brushed by their human. You’ll need to brush your cat more often during the spring shedding season. Several pet food companies offer hairball remedy foods that may help your cat produce fewer hairballs. While they don’t work for every kitty, the theory behind them is to keep the cat on a high fiber diet. This fiber should keep things flowing smoothly in the digestive tract so that ingested hair passes through the cat rather than coming back out of his mouth. 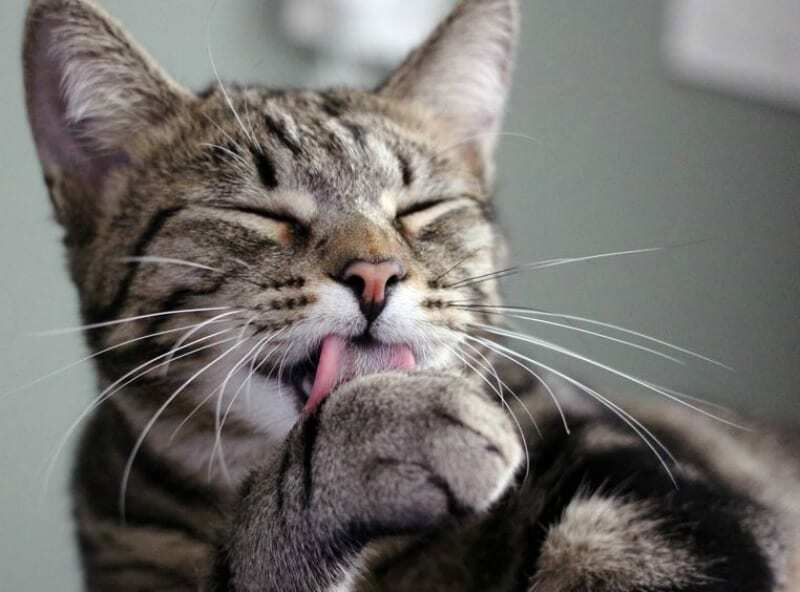 These foods are certainly worth a try if your cat struggles with hairballs. Don’t forget that your most valuable resource when it comes to your cat’s health is always your veterinarian. Your vet may provide a laxative or other remedy to help reduce hairballs that you won’t find elsewhere. Places like the Waterdown vet clinic can also give you tips and tricks that might work for your specific breed of cat. If hairballs and vomiting are excessive, your vet can also make sure your pet isn’t suffering any type of intestinal blockage. Some cats are more obsessed with grooming than others, so try distracting obsessive groomers with lots of play time and frequent new toys. Long human hair is often picked up by grooming cats as well, so sweep and vacuum regularly so as not to add to your cat’s problem. With proper grooming, food, and a little help from your vet, you can help minimize the number of hairballs you and your new cat deal with. Good advice. I brush my kitties all the time to help them with the hairballs. It’s no fun seeing them hack up their fur. Brushing often helps to cut that down. Giving your cats a thorough brushing is the most important thing you can do. During ‘shedding season’ I have to comb my medium hair cat twice a day, she sheds so much! It’s also important to vacuum your floors thoroughly, with repeated slow strokes, and 2-3 times a week. This keeps the carpet clean and your house cleaner too. I had a lond haired cat that was always coughing up hairballs. It was really gross because he’d hide while doing it. Good tips. Just brushed my cat this morning. Luckily my cat loves being brushed. It really helps. I can attest that cats love being brushed. I can’t even brush my OWN hair without several of my rescue cats leaping into my lap and bumping my hand with their heads wanting to be brushed too. Thankfully with frequent brushing the furbabies are hair ball free. I brushed my last cat twice a day since she was long haired. She loved it. My current cat is short haired fortunately because he hates being brushed. I still do it twice a wk. in Winter and every other day in Summer. It really does help with the hairballs. I feel so bad for them when they get a hairball. Even with brushing and hairball medicine, they still happen far too often. Definitely brush frequently to prevent excess hair balls. Grooming cumulatively and administering suplements i.e hairball control treats, marshmallow root, etc.